The Fat One is on his way to Hatlanta but recorded today’s LITTLE show prior to departure. There’s lots of nattering about Celebrity Big Brother, BF’s day and even a voice letter from Uranus. Happy Weekend! Posted by Big Fatty in Podcasts on January 25th, 2019 ‌ Both comments and pings are currently closed. The dark Oreos are good. The carrot cake ones are better. The ones you really need to try are the Most Stuffed ones. They are enormous and only 110 calories each. Also, isn’t Miss Bacon just the greatest? I’m gonna listen to the little shew now. 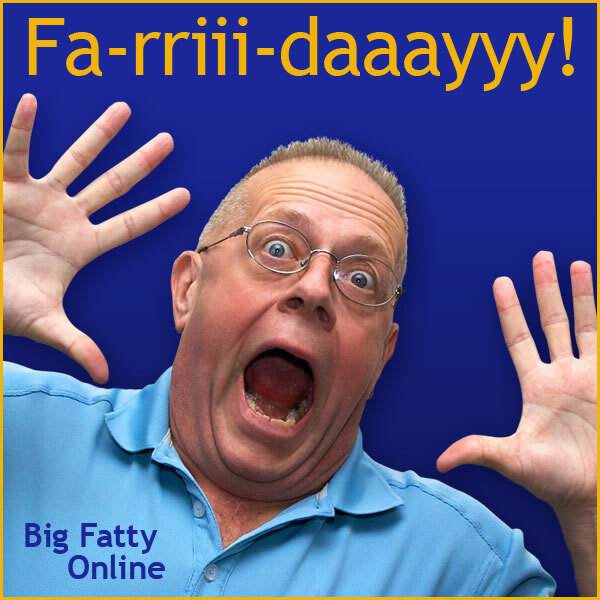 Hope that the Fat One made it safely to the Haterina”s home. The Government Shut Down is over. The bills not signed yet ~ but the comments after this SHOW will NOT be included in the contest. So. Three shows. Comment until your fingers break off if you want. Imagine that. The Government Opens and the BFO closes (possibly). Anyway. As soon as the retroactive pay is received Ben will be in one of your grubby little hands. (Straight daddy, you’re killlin’ it!). Now I really have to have someone else choose the wonner. Maybe I will just give Cute T a call and ask him to pick a number. Toodles. Drawing to be held tomorrow. (After everyone gets a chance to comment today). I heard the shutdown might be ending so I wanted to leave a comment for that Benjamin! Does WoW have anything to do with Whip it Out Wednesday? Bob could ask all those poor passengers of BF’s special chair, although I assume they usually close their eyes and keep em shut the moment he opens the door to the Little Villa of Horrahs. Right, Kbeaver !!!!!!! It was probably THE best VM I ever sent in. I loved every bit of it ~ I had NO idea Scotty was going to say that. That was the LAST time we served him adult beverages (HA-ha) and Smelly just couldn’t quit laughing.